Sounds like someone tried to launch something. They are so desperate to start WW3. Good thing that wont happen. it accessed in attempting to complete the request. Maybe has to do with Netanyahu going berserk and scheduling an attack on Iran today? We are Seeing Beings of Great Stature… Tall, standing in strength, hands together, on a Grand Sphere of Light. We have not seen this until this moment. We are seeing it now. The Sphere is Gaia. The Beings of Great Stature are Awakened Hue-manity. 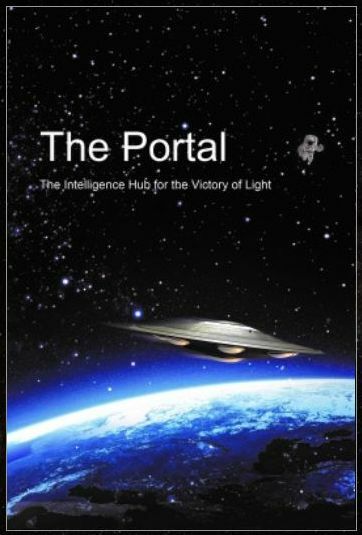 Illuminescence of Gaia has tripled since the 9-9 Portal. We speak of the Inner Illuminescence, which many may also have awareness of in the so-called outer. 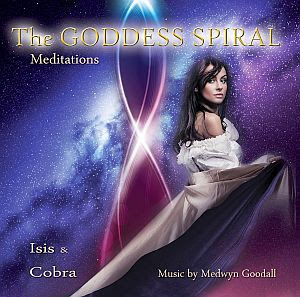 “Gaia” became “Stargate Gaia” as of the 9-9. As of this moment, “Stargate Gaia” has become “Star Gaia”. Fullness of Illuminescence will be attained within a short period, dependent upon the rate of Higher Consciouness development of the humanity collective. Fullness of Illuminescence is assured at this time in Gaia’s Ascension process. I read your previous post Cobra, and just wanted to remind you, what you told us a couple weeks ago. 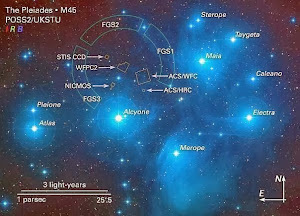 We knew this period was going to be rough, with pluto squared till Oct 5. We knew that it was gonna get crazy. If you are like me, you are operating on very little rest and are being bombarded by every possible difficulty. Don't give up the fight, we are close. Shine your light brightly. Sending lots of bright cleansing light your way. 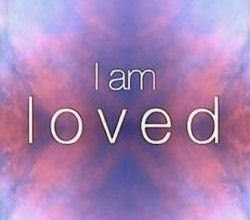 Just know you are loved. I think I need a Q-tip. No need to be the most clever, insightful, wise. Let us set ego aside. Thank you Cobra for all info you share. Namaste. At the New Moon last week I discussed how the Mother energy of the planet was going to make communication with us this month. I also explained that in order to receive the communication we would have to maintain the highest level of integrity and maintain vigilence with nature. Today she will deliver a message to each of us. You may have an animal/bird/insect encounter, feel a movement in your heart, or receive a direct insight or message in meditation or while in a reverant state of mind. The very best way to receive the communication would be to be around a campfire or bonfire, but this won't be possible for most of us. Sitting outside and making a conscious connection will do. 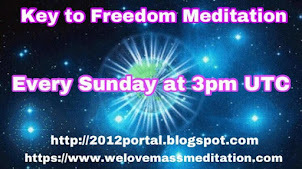 We've been working on being in this frequency range for a few months, and now it is time to earnestly join the dialog. Don't become frustrated if you feel like nothing happens for you today. Your brain wave must be in her hertz range to receive the communication. And it has to be strong, which means you are living in that frequency much of the time. It sounds complicated, but really all it means is your heart has reached a certain level of love - love for her and her creation. Anyone who finds this site and resonates with it has already reached that level. So what would you like to say to this divine artist? On the practical level, which is really quite insignificant compared to what today's real potential is, the theme is cycles. In some way we find ourselves back at a certain point, place, mindset, behavior, feeling - whatever. It seems like we are back where we started, but we aren't because energetically, we have changed completely. Our energetic bodies have been entirely re-configured, so our experience of whatever returns today is not the same. So we don't need to respond or react in the same way. We've been upgraded; some of us just haven't figured that out yet. So I was running today and about to sprint the last bit. And this crazy thought hits. Hyperventilate so I did I breathed as hard as I could before I started the sprint. It made the finish much easier. Later on I'm thinking that was a weird thought did it relate to more than the run. Maybe it's time to hyperventilate on light to prepare for the sprint to the end of the year. Oh that resonates with me. Going to spend some time with that thought. Thanks for sharing! That's a new code! Not that I've much figured out what the other ones were. Interesting new code, I could be right or I could be wrong..a mountain? Love and Gratitude! All is well! Looks like video of a volcano played backwards. Thank you. Wish I could do more, things are dodgy in the middle East.I am rubbish at praying but I keep feeling that I wish we could do a mass prayer or somthing. GYUN AYDIN, BARISH! NASIL SIN? WE ARE ONE, my brother!!!! And I mean it with ALL my Armenian heart. Being a well educated, and A WISE woman, she always told us -"Yavrum, the turks did not do this to us. The few fanatics can not represent the whole nation. Well... NOW we know, WHY and WHO did trigger all these insanity wars over the globe. WE ARE the Allah, the God, the Astvatz (in armenian). I used to speak a little Turkche, but forgot most of it, after moving to the USA. LOVE AND PEACE TO ALL OF YOUR PEOPLE! Hey you are so beautiful. I'm sorry for her husband and 4 kids. We miss each other so much. I didnt feel bad things any person or nation. They always pumping conflict between Kurdish-Turkish, Armenian-Turkish, Greece nation-Turkish etc. NOW we know, WHY and WHO did trigger all these insanity wars over the globe. And we will light up our world together Suzan. We are same ray of the one sun. "ATM machines have stopped working here since a few days"
Were? I noticed that the internet time went wrong twice. On Sunday the clock on my computer showed 3,48 and it was 11,15. I opened a site for time checking and it showed the wrong time too! After a few seconds everything was okay. But the next day happened the same. "If you don't want anyone to know it, don't do it." an ignorant man follows public opinion." "I wise man talks because he has something to say, a fool because he has to say something"
"A thousand years is but an instant. There's nothing new, nothing different. The same pattern over and over. The same clouds, the same music, the same insight I felt an hour or an eternity ago. There's nothing here for me now, nothing at all. Now I remember. This happened to me before. This is why I left. You have begun to find your answers. Although it will seem difficult, the rewards will be great. Exercise your human mind as fully as possible, knowing it is only an exercise. Build beautiful artifacts, solve problems, explore the secrets of the physical universe, savor the input from all the senses, feel the joy and sorrow, the laughter, the empathy, compassion and tote the emotional memory in your travel bag. I remember where I came from and how I became a human, why I hung around, and now my final departure is scheduled. This way out. Escaping velocity. Not just eternity, but infinity". from the movie Waking Life - I thought I should share with you this because it gives me good energy. Love to all! Sometimes a picture is worth a thousand words ...Great stuff ! My pineal was activated with a white platinum geodesic pattern last Sunday. The pattern literally exploded from inside my brain like a fire work going off. It was the strangest thing and the sudden eruption caused me to end a karma pattern instantly with an old friend. I said, "No." On Monday, American Kabuki posted the pattern on his web-site. Thank you, Obi-Wan Kabuki. From that image, I started to envision the pattern more, not be in awe or fear of it. The given pattern is the static image of a toroid vortex. The pattern moves constantly, in layers that alternate directions. This vortex, once envisioned, produces an electromagnetic pulse. The electromagnetic pulse creates a sensation of anti-gravity. Sensations of flying high and then becoming microscopic are part of entering the universal matrix. The magnetic toroid, once activated, can appear like a halo, but everyone gets one. Everyone ascends, everyone can participate. There’s no more good and bad. If you haven’t cleaned house before the download starts, you may experience some type of mental and emotional disturbance. If you feel this disturbance, you can go into hiding. 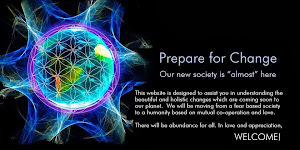 This download is happening to all things simultaneously, plants, animals, our atmosphere, mineral elements and humans. Many previously diverse channels have begun saying much the same thing and I believe we are entering the merging of time lines. The web page that I Am Love posted above has a similar content as what I am trying to convey, but like the guy on "Close Encounters of a Third Kind," I see it happening as a dynamic sculpture. Try this, go to the image on that post with crystal colored version of that tesseract DNA, get a good image of it in your mind of how it rotates and behaves. In the evening or morning, when you are sleepy but not quite asleep (delta wave time) get the image in your mind with your eyes close. Ask God/Higher Self/Universe (whatever that concept is to you) to let you see your DNA. Then ask to rotate your DNA into that form. I had the most amazing surge of chi energy, I was squirming all over the place. Its not unpleasant, but not what I expected. I really didn't expect any energy surge. I then said "I want to ascend" and I got surge after surge of energy, and the image of that tesseracted DNA started a cascade of images of other DNA also moving into that form. Seems to be a chain reaction effect. I suspect this happens in phases in people. It was really strange how the words "I want to ascend" amplified the energy. Almost like the body is programmed to seek that and responds to those words. Maybe it really is a choice? I don't know if this was kundalini or what happened to me but I was wiggling all over the place. This was about 8:30am that I tried it. Then I seemed to go back to sleep. When I awoke I thought it was 9:30 AM or 10:00 AM but it was 2:00 PM! A whole four hours was lost to me. My wife said she never saw me so deep in sleep before. We sleep in separate rooms as I snore, or I did without the CPAP machine, not sure how much noise I make these days. What was also very strange was that my daughter also had an unusual sleep episode and missed her college calculus class. She's a good 500 miles from here. I don't know if because she has half my chromosones that she is quantum entangled with my genetics? This whole experiment poses as many questions as it answers. But I get the feeling that ascension is not so much a wave of a magic wand thing ...bibbidy bobbidy boo... but more akin to quantum chain reaction. I felt very light after I woke up and very refreshed and energetic. I feel so clear headed. I've spent weeks of major releases of emotions and crazy stuff coming up that I had thought I had long forgot about...and its so nice to be shed of that stuff. I'm still 3D, don't get the wrong idea, but I think I've stumbled onto something about this process and what might possibly be how it works. Or DNA has everything it needs, its only a matter of the base pairs rotating geometically into the DNA tesseract which makes both dimensionally crystalline and a tesseract. 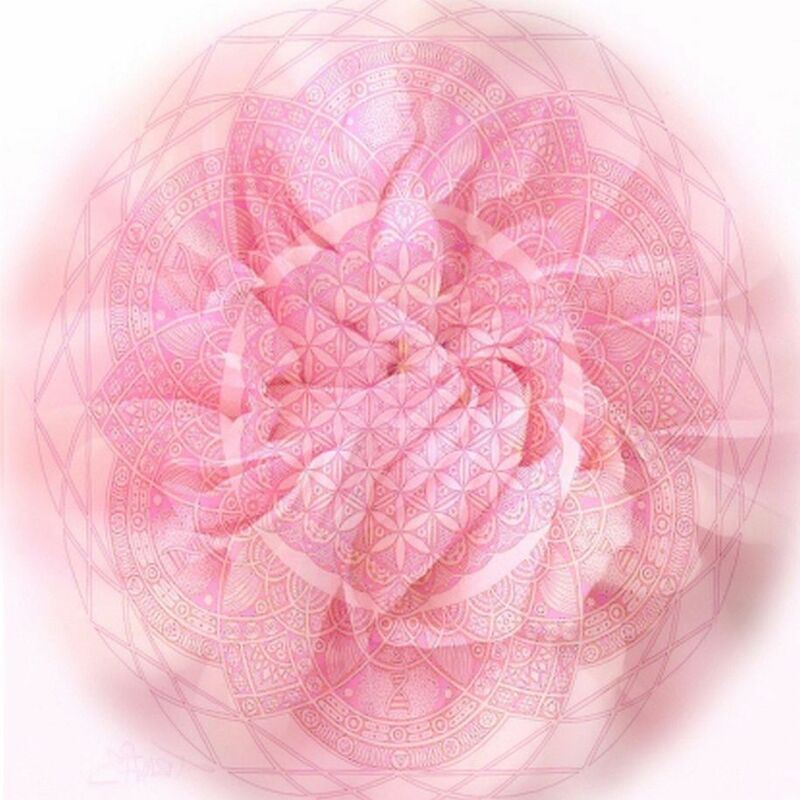 Tesseracts are portals to dimensions and portals for light. Cobra do you really feel that innocuous posts are worthy of your eraser?? some of the things you delete here are most obviously not harmful to you and in no way are negative yet you still insist on deletion, this only tells me that you may have a few self confidence issues to work through. Why don't you come over and have a chat, "off the record" i know that you know where we are because Ive seen you there.....this is all getting quite ridiculous and extremely petty.... there is no competition we are all here for the same purpose, to help others find truth and knowledge. Is this not our purpose......to be of service in any way we can?? I meant what i said about having a chat, there are many hidden forums that it can be kept out of public view, so what do you say??? Well, Council of Nine ..., you have to admit that your comments are - at least in this post - kind of ... challenging, ridiculing, not serious, somehow annoying - don't you think so, too? What are your intentions, frankly? Are you positive minded? Prove it! Joth It is a little obvious to me that you have no idea what i am talking about and that maybe you should not concern yourself with my intentions, do you always attack people for speaking their mind, especially when it is not confrontational or negative?? How does this make you feel??? maybe you should explore those feelings and find some balance withing your decision to answer a post that was not intended for you. 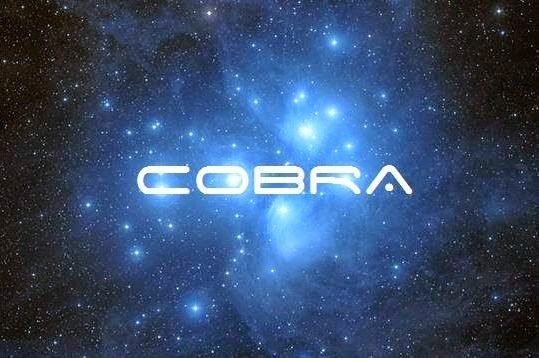 Cobra, I will be in contact shortly, thank you for your quick reply. There's something comforting, even though the sound of it Is something quite atrocious. "Maybe [what you say] means nothing : )"
"How does this make you feel???" "[Y]ou may have a few self confidence issues to work through." Divine peace and love to you Joth! OOPS I stepped in a puddle again! Needs her satellite jumping shoes! Joth, I have an extra pair for you! Victory to the Light! Not to struggle and just let it be is my today's lesson. Wild and Crazy Info, thanks! The part about cloning, oh my!! What goes on behind the scenes! Thanks Love! The satellite link was not operational when the last web page request was made. Possible causes for this include recent changes in weather conditions or equipment problems in the Network Operations Center. Trying again at a later time may result in restored service due to either improvements in the weather conditions causing the service outage or rectification of a network problem in the Network Operations Center. If this problem persists, please contact your service provider for additional assistance. computer issues here too, had to reboot...yesterday one of the local businesses -Verizon no less - said they were having slow computer issues all day. This will be short and sweet as I am severely limited in what I can say. Fingers crossed my friends. Dare I say it? This might be IT. Keep your eyes and ears peeled for the changes on the wind because you might just wake up on Monday to whole new world. To avoid any speculations on the meaning of these messages... without really telling you anything, I can still tell you that there is a kind of numerical language using the numbers 1 - 6 in on a 3 digit standard. These numbers have different meanings based on their position, and the actual meaning is very accurate and can contain much info in just three digits. Somtimes numbers beyond 6 is used to describe situations beyond the ordinary or going too far. Using the zero will mean there's no position on that part of the system, because this is based on a quite simple pattern. Just for fun, 007 is actually a correct way of saying "spy" in this language. It can be interpreted as: first digit - no place in the world market, second digit, no place on the level of inter-national relations, last digit, no place on the the national scale, (going beyond the ordinary 1 - 6) but instead using methods that are controversial. The "demons" also use this language to direct attacks by lower-level beings. It's not very accurate though. So without saying anything that noone already knows, "5" in the fist position could mean "any country ruled by international relations passing throught Libya". But this is all based on context. Whoever is supposed to know, will get the message. And the "demons" will run to that physical location trying to figure out what it is referring to. I'll tell you this because just earlier today I tried on two pairs of Levi's jeans in a store and the cut models happened to be "504" and "503". They almost fit but were a bit to tight in the waist. That adds context to my way of interpreting this message. You get what I am saying. I also made a web search on a work related subject and the first hit said "707" in the headline. The electromagnetic imbalance is being felt worldwide. It affects more than just the banking industry. The writer of this blog also publishes articles about strange noises, strange light phenomena, homing pigeons losing their way, airline industry personnel and passengers showing signs of emotional distress and the rise of peculiar behavior among humans including zombies and cannibalism. And life flows on within you and without you"
Once again an info about Alice Bailey the channel of St. Germain and the other ascended masters. Listen at the end of the video. They try to open a gate for the evil world leader with mass meditation. The Great Invocation is not evil in my view. I read many of Alice Bailey's books as I was starting on my spiritual path back in the day, and have invoked it many-many times. LET LIGHT AND LOVE AND POWER RESTORE THE PLAN EARTH. So you believe like Alice that Lucifer is a nice guy and the creator of the 3d world? I believe that the 'Bible' is one of the greatest sources of disinformation on the planet, which is where the notion of Lucifer being a 'fallen angel' comes from. There is so much confusion surrounding who Lucifer actually is, how can we know for sure ? You are right, it boils down to 'belief'. 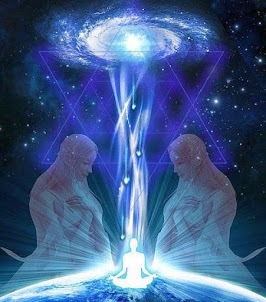 Alice Bailey's work also included transmissions from Kuthumi, who along with DK is an ascended master on the 2nd ray of teaching and healing. Her work, as well as the ancient teachings, was pretty much the only thing around for those spiritual seekers who were on the path of light before the 'New Age' erupted. I don't think the bible is so much disinformation as it is a cleverly written book to gain control over and manipulate the masses due to the fear of the unknown portrayed as the devil or the god that would smite you for having improper thoughts. Sure I guess you could call the basic premise of the New Testament - obscuring the hieros gamos of Jesus and Mary, and relegating her role to that of a prostitute - to suit the ends of the patriarchy ... as well as the religious system handed down to the people in the Old Testament of worshipping the demiurge YWHW instead of the one true Source - the contents of a "cleverly written book". There is no doubt that 90% of it is pure fiction, just like anything the elites do....mix a little truth in for good measure, and I suppose you could class it as disinformation, but my point is that nobody actually knew any better so the content was designed to instil fear into the masses and to give them something to fully give themselves over to, in this way it was cleverly constructed if you lived way back then, but these days it is very transparent. The old testament is tripe, 20 different ways to explain the same thing over and over while instilling as much fear into people as is humanly possible. Grid point sparking occurs as alignments finalize in preparation for next stage of Ascension process. 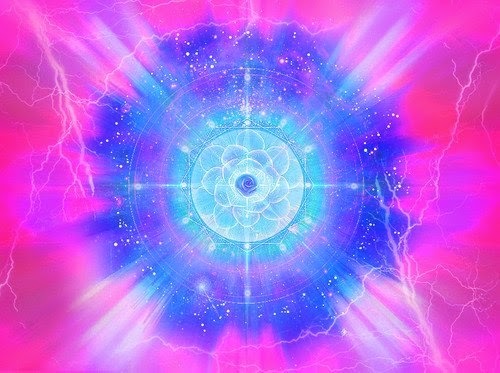 Energy upgrade for the Gaia Entity is required for final period leading to the 12-21-12 Grand Window. Scientifics in the 3D-4D are occurring so as to prove concepts of Higher Levels. More to be unveiled increasingly as day passes night. Many are called. And many answer that call. Unlike prior sylloquisms. Messages from Gaia have overridden Cosmic ones. This may seem odd to some, but Gaia is the primary focus of the Cosmos at this time. 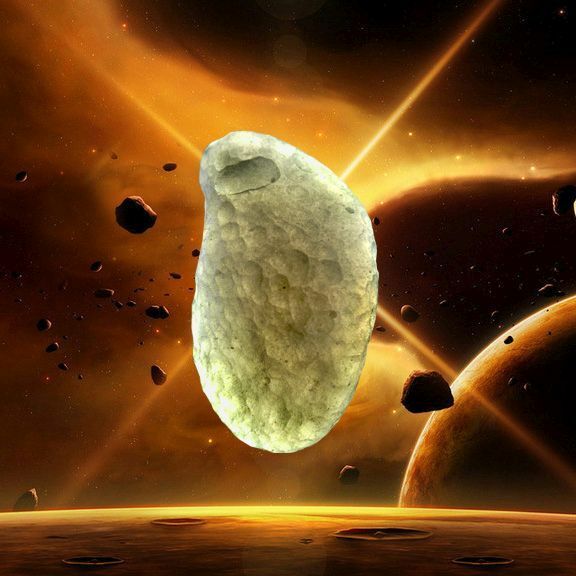 We see all is proceeding smoothly, and do not anticipate any more stops in progress through the 12-21-12. Something I noticed that I find a bit interesting, there hasn't been any sort of chemtrails in the skies of Athens since June 7th. The other day when the riots broke out, I noticed planes trying to lay out chemtrails. At first I thought it was just contrails, but the weather here is still summer like with temps in the 90's. Planes flew overhead all summer and not a single puff of smoke from any of them, not even contrails. So this was obvious against a completely blue sky. A little later in the day, I noticed 2 planes flying in formation one behind the other, roughly 5 minutes apart laying out trails only for them to vanish just before the next plane and about the same distance from the trailing plane. The planes started to tighten up formation to roughly 2 minutes apart, and again, the trails wouldn't last more than a couple of minutes. And before someone says "contrails bro", why is it every other plane I noticed that day wasn't doing the same thing? I saw several planes at cruising altitude and nothing. Not a single vapor. After the riots and such, nothing. Not a single vapor or trail or anything. There are planes in the sky, but it's all clean. Nothing but sunny blue skies. More than ever chem trails in England, sky scarred with them and it has rained from April almost daily with quite a lot of flooding. Just wanted to say how sorry I am about what you are having to go through in Greece, Spain too. My heart goes out to you and it is really hard to bear. My you soon have all you need and more, much more. From what I hear it was a very peaceful gathering of around 150,000 people outside parliament until some plain clothes police filtered through the crowd and threw Molotov cocktails at the uniformed cops, who then attacked the crowd with batons and tear gas. More a provoked set up if you ask me. We all know the people causing the violence are plain clothed police. Same thing is going on in Spain. It's the only way to justify using violence to break up the protesters. However, if they keep pushing, they'll eventually awaken the Ancient spirit of the Greeks and then no one police officer, government official or other high ranking official will be safe.Period. It's not the answer, but it's taking all I and other 'workers' have to maintain the peace. People are at the ends of their ropes and barely holding on by a thread. If the housing situation out here was anything like the states, it would have sent people over the edge and this would have blown up into full scale revolution already.